1. What the heck is "medium-heavy"? 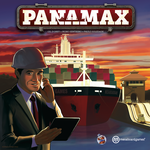 Note: I received Panamax as a review-copy. 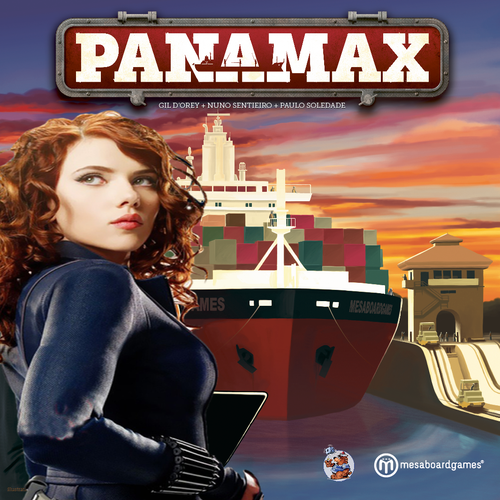 In case you are wondering.. what has Scarlett Johansson got to do with Panamax? Nothing... much. Everything is better with Scarlett Johansson! See? Everything is better with Scarlett Johansson! On another note, which one do you prefer? I find myself facing a dilemma. Should I go with the more serious sounding "Managing Director" in the title? Or should I go with the more fun and casual "Scarlett Johansson" in the title? I cannot make up my mind. "Panamax is a medium-heavy game for 2 to 4 players..."
"Panamax is a medium-heavy game..."
What the heck is "medium-heavy"? Hold on a second, are we opening up a new category for weight? I thought a game's weight is simply classified as Light, or Medium or Heavy. This question led me down a path of intrigue, insight, and discovery. I always knew that BGG has a user-defined game weight statistic. Users get to vote on what they feel is the weight of each game. For example, a quick scan on the Panamax's page reveal that users have collectively voted an average weight of 3.8 for Panamax. So there you go. Perhaps we can say every game weighted 2 or less is Light. Between 2 and 3 is Medium. And everything more than 3 is Heavy. Simple. Just to reaffirm my theory, I browsed through a couple of games and identified their BGG average game weight statistic. There you go. A happy ending. There are three categories. Light, Medium, Heavy. Einstein's energy equation is adhered to. Balance is restored to the universe. What I did not know was... when voting, apparently the drop down menu defines each number. And right there, staring at me, was the word "Medium Heavy". Holy s$%t. There is indeed a definition for medium-heavy. I feel so dumb. Clearly this reviewer (yours truly) has never voted on a game's weight before. Perhaps this disclosure has reduced the credibility of this reviewer (yours truly) significantly. What? A reviewer who does not know there is such a thing as medium-heavy? Now that I have this sorted out, I look at the list... I cannot say I agree with this list. This list that I made. Surely Agricola, Terra Mystica, and Mage Knight should be considered heavy. 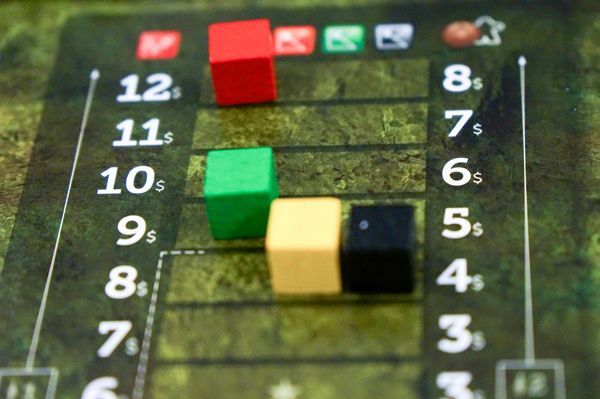 Castles of Burgundy should be considered medium-heavy (oh, I've started using this naming convention already!). What is Dead of Winter doing here at 2.9? But how about Five Tribes and Imperial Settlers? Are they medium? Or medium-heavy? And why is Go so high at 3.9? It is such a simple to teach game. Is depth considered heavy? Is complicated game rules considered heavy? Is long game duration considered heavy? Argh. In the end, I am no closer to enlightenment. I guess game weight is a subjective vague interpretation of a game's complexity, depth, duration, and other "stuff". Why am I rambling about game weight? 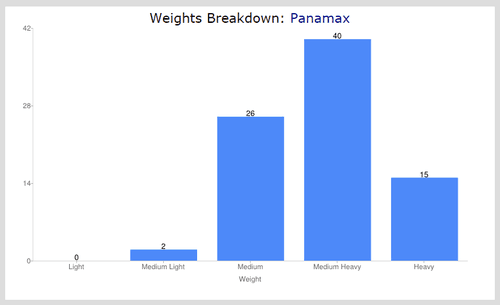 Because I realize how I approach Panamax from the game weight perspective affects how I rate the game. Gamers tend to have different expectations and tolerance when looking at a light game versus a heavy game. When playing a light game, things like randomness or king-making are okay. When playing a heavy game, things like long complex rules, long game duration, analysis-paralysis (AP) are okay. Flipping this around, when playing a light game, long complex rules, long game duration, AP are NOT okay. When playing a heavy game, things like randomness, king-making are NOT okay. So where does "medium-heavy" sit? And how does it affect my rating for Panamax? 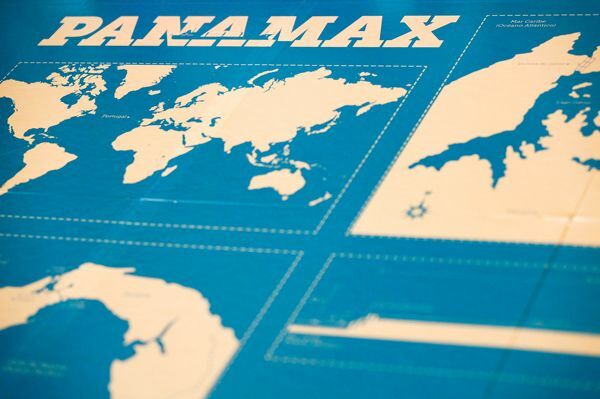 This Quick Start Guide is meant as an introduction to the game of Panamax. You can think of it as a guide to pass along to your friends to read before going to game night. It’ll be great if the game is played with at least one experienced player who knows how to handle all the exceptions and special rules. This is the only quibble that I have with Panamax. Panamax is okay as a 2-player game. Panamax is significantly better as a 3-player game. Panamax really shines as a 4-player game. Just like Settlers of Cantan is really a 4-player game, you don't want to play Settlers of Catan with 3, 5, or 6. 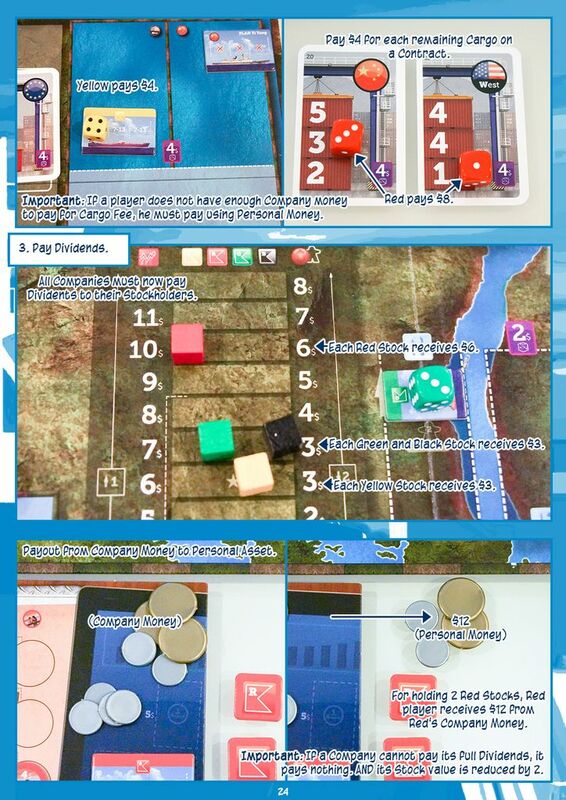 Similarly, Panamax is a 4-player game. I have played perhaps 4 games of Panamax with 2 players. And I feel 4 games is 3 games too many. I will never play Panamax again with 2 players. There are simply many better choices for 2-player games out there. Panamax is not exceptionally good with 2. As a 4-player game, Panamax is excellent. In fact, I will go as far as to say it is brilliant! Here's why. What are the characteristics of a stereotypical heavy euro game? Dry? Yes. Theme-less? Yes. Multi-player solitaire? Yes. Walk into a room of gamers playing heavy euros, you'd think you walked into a library. Everyone is squinting their eyes, staring expressionlessly at the board. 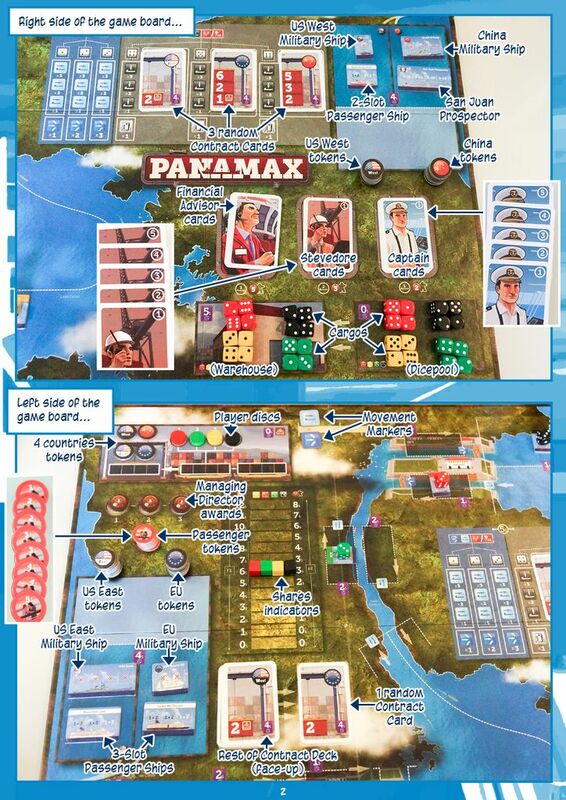 Panamax sets itself apart as a rich, thematic euro that is highly interactive, fun and rowdy. Yes, you read it right. Rowdy. Most people may think the sun rises from the west and the sea runs dry, before you see a rowdy heavy euro game. Panamax is still a meaty euro at heart. 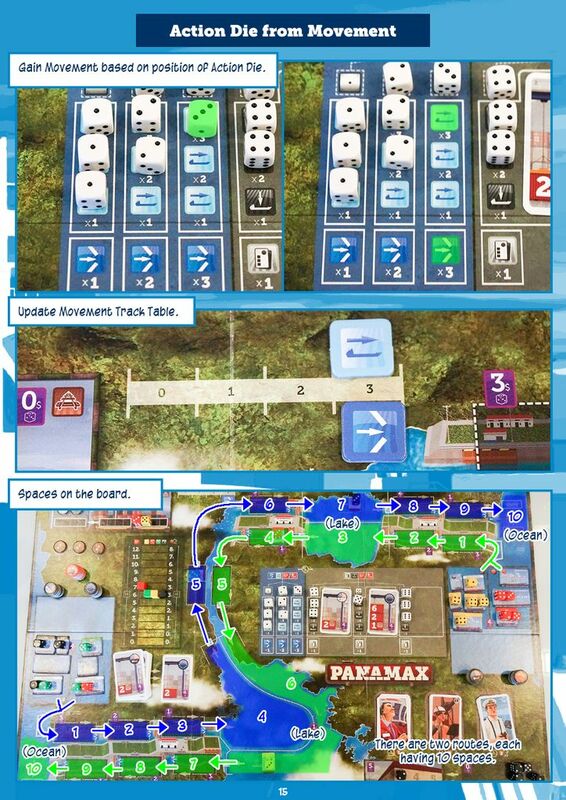 But unlike most heavy euro which gives a quiet multi-player solitaire experience, Panamax is relatively more interactive, louder, more opportunities for deal-making and sabotage. I cannot think of another heavy euro that gives the same rowdy game experience. Or medium-heavy euro. Or medium euro for that matter. Okay, yes Settlers of Catan is rowdy fun. There is usually lots of interaction and laughter in a game of Settlers of Catan. Maybe that's why Settlers of Catan is such a highly regarded gateway euro game. Panamax is a much heavier game than Settlers. 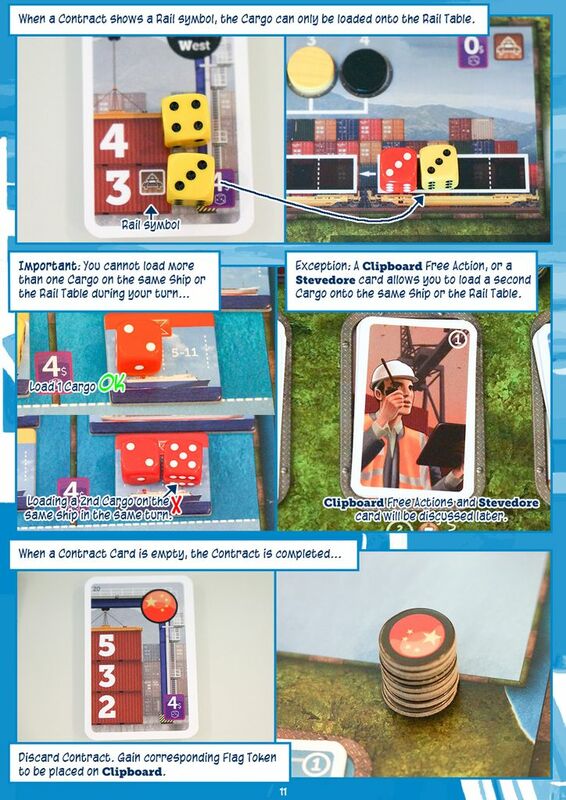 Yet, in every (4-player) games of Panamax I've played, there are lots of interaction and sudden bursts of laughter. 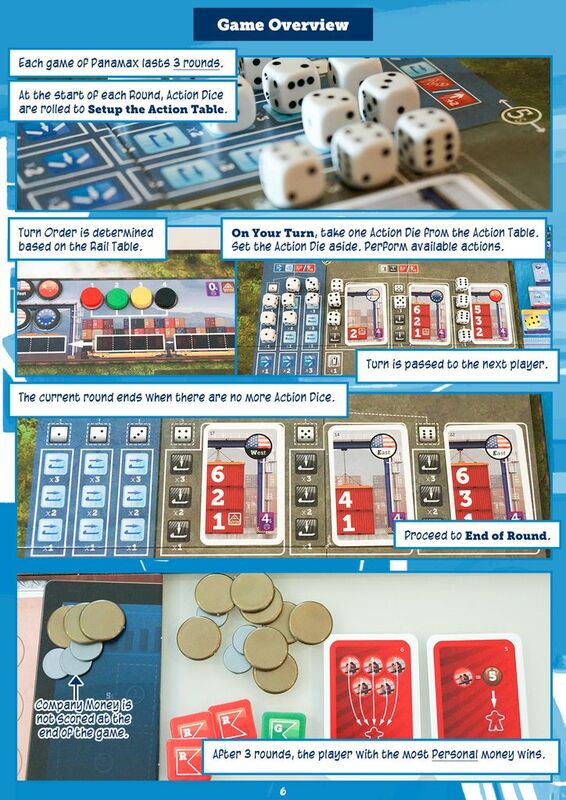 A few months ago I played Thunder Alley and was blown away by its usage of the "push" mechanics. In Thunder Alley, all race cars push each other around the track. Thematically, it simulates stock car racing very well. The way the pack stays together, or breaks away. Mechanically, it provides lots of interesting implications and opportunities for clever plays. 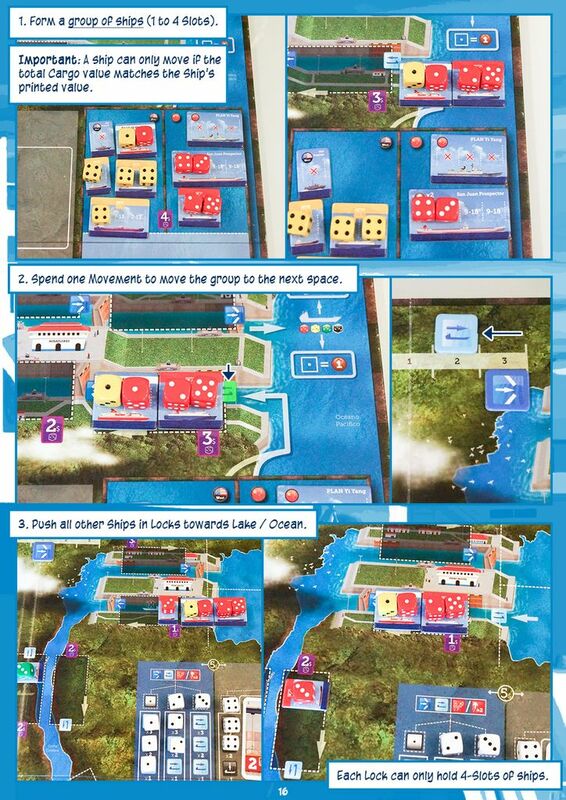 In Panamax, the ships push all ships in front of them in the same stretch of Locks forward... into the next lake, or ocean. Thematically, it simulates the tight Panama Canal wonderfully. Mechanically, it also provides lots of opportunities for clever plays. The most apparent idea would be to "exploit" this pushing mechanics to race ahead the canal as many spaces as possible for free. Spend movement to move your ships into the entrance of as many Locks as possible. Let the other players push your ships forward. In execution, it is not so easy to grab a free lunch. Each Lock is only 2 or 3 spaces long. So the most you can benefit is 2 or 3 free pushes into the next lake or ocean. There are three rounds in each game. And paying Cargo Fee at the end of each round is something all players try to avoid. Therefore everyone is trying to get their ships to the end of the canal (i.e. the oceans) by the end of each round. 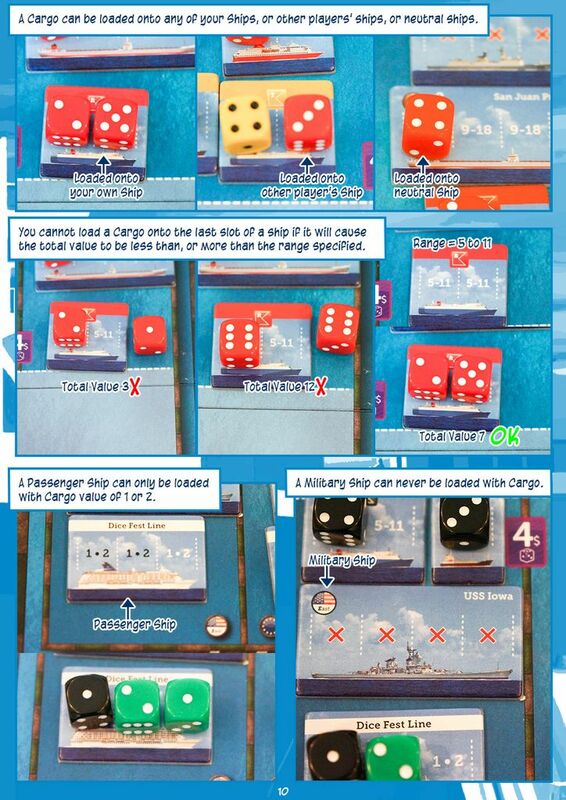 Since players only have four turns each round, the implication is, it is common to spend the first two turns loading cargos, and the last two turns pushing ships. 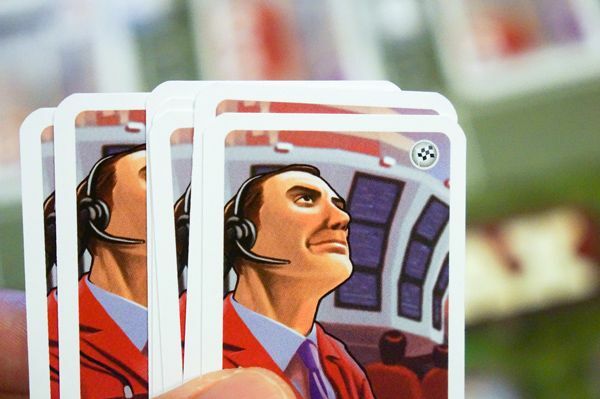 By round two, most players would have a Captain card and a Stevedore card. 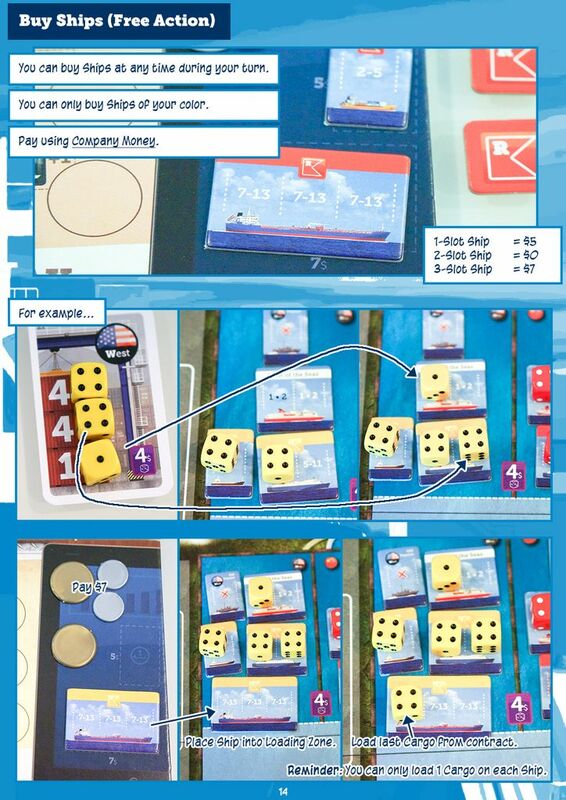 These two cards make it very possible for players to move their own ships across the entire ten spaces of the canal on their own. I have experienced that the player who tried too hard to "exploit" the free lunch idea has his ships left behind after getting that first 2 or 3 free pushes. By turn four, he would have spread out too many of his ships all over the board in both directions, unable to bring every ship back to the oceans. Therefore, where there are lots of "pushing" within a round, it is not "exploitable" or game breaking. Instead, the mechanics favors and creates opportunities for deal-making and sabotage. 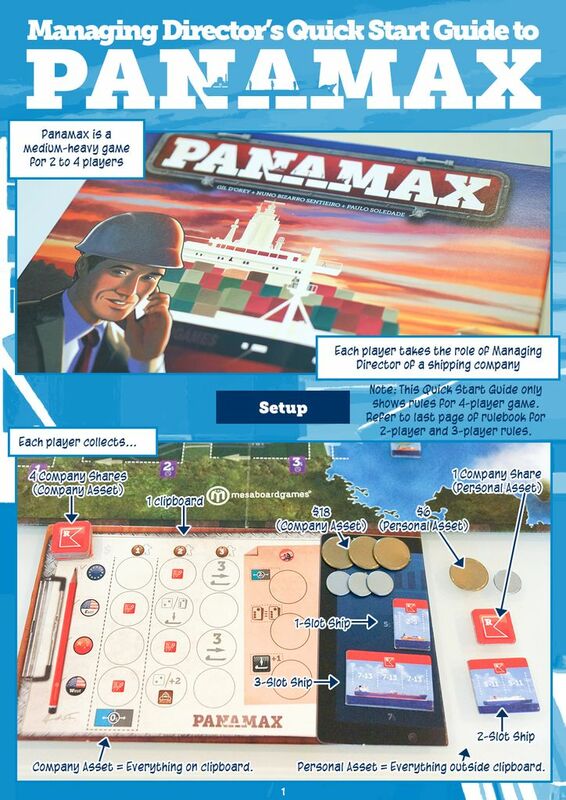 Panamax gives lots of opportunities for wheeling and dealing and "sabotage". When I push a ship, I can barter with other players for future benefits. I scratch your back, you scratch mine. Even if I play Panamax with strictly no deals allowed, when another player helped me once, I'd be compelled to help him back. In a future round, all things equal, if I have the chance to help him or another player, I'll certainly help him back. I often find myself with extra movement that I am required to burn at the end of my turn. 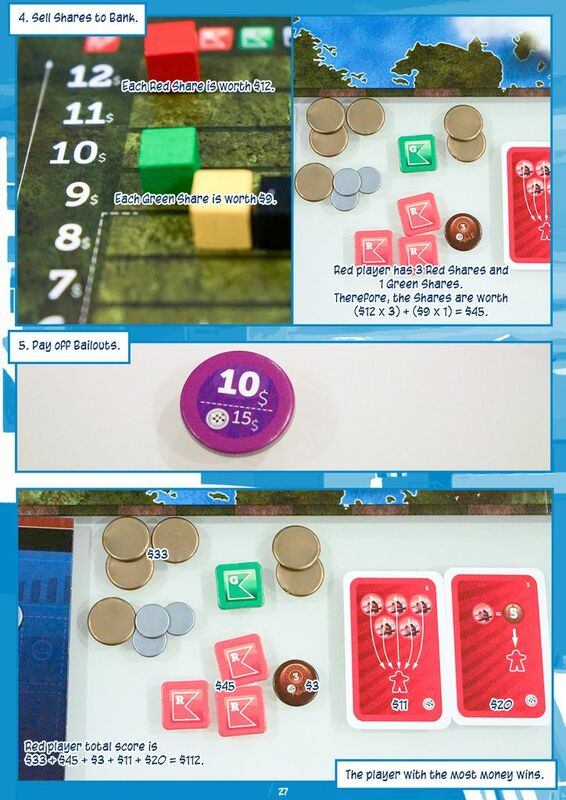 Scanning around the board, I can easily find moves which can sabotage other players drastically. Especially towards the end of the round. I throw a quick glance and a grin, and everyone on the table knows what's coming. I push a 3-slot ship further down the canal, making that unfortunate player pay 3 times more for cargo. One simple move, and someone gets screwed real bad. The thing is, what goes round comes round. Karma. When I leave a ship out in the canal towards the end of a round, I'd freeze in my seat quietly and try to be as inconspicuous as possible. Do not attract any attention to my lone 3-slot ship with 3 of my cargos, floating on that $1 cargo fee spot. Shhhhh. My opponent turned to me "haha, you wish! ", and proceeded to pay back by pushing it twice to a $3 cargo fee spot. Arghhh!! The table exploded with laughter. Instead of paying just $3, I had to pay $9! I was royally screwed. Could not pay out dividends. Company stocks went crushing down. Just another day on the Panama Canal. Another aspect of Panamax that is different is it's separation of Company Asset and Personal Asset. Most casual gamers are not able to grasp the significance immediately. And here is where the depth and complexity comes in. Everyone starts the game with one of their own company stock. Should I buy more of my stocks? Or should I buy more of other player's stocks? In one of my first games, I thought I should keep buying my stocks. I pushed for every chance to buy my company stocks. But I did not take into account my Company's Asset. In the end, I pushed the stock price too high. I ended up not being able to pay dividends fully. And my company stocks went down. Oh, it happened to be the final turn. And one of my Financial Advisor card happened to require that my company pay out its dividends in order for me to score it. Argh!! Then there was this other game where a player made some bad moves in the early game and got left far behind the other three. Everyone on the table knew that. In a series of surprising moves, that player started buying other companies' stocks. That player caught up from behind and won the game. I had no idea if it was due to him buying our stocks, or was it due to other factors. One pattern that I've witnessed is the player whose company failed to pay dividends, even once, tend to fall behind. When playing the game, I've seen some issues raised with Panamax. I feel these issues were more due to how someone approaches this game from a game weight perspective. Say you have a group of friends who are used to heavy games. Games like Agricola and Terra Mystica. Panamax is definitely lighter than these games. 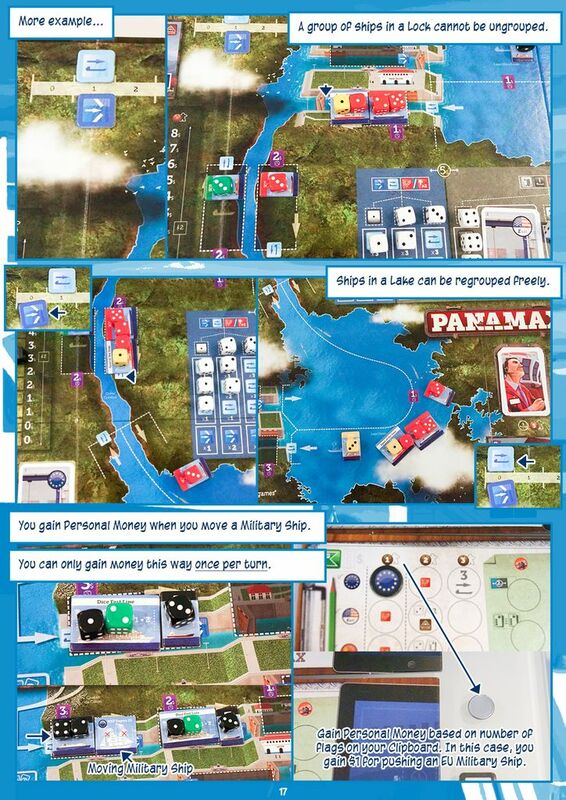 If you approach Panamax from the perspective of a heavy gamer, you may have some issues. 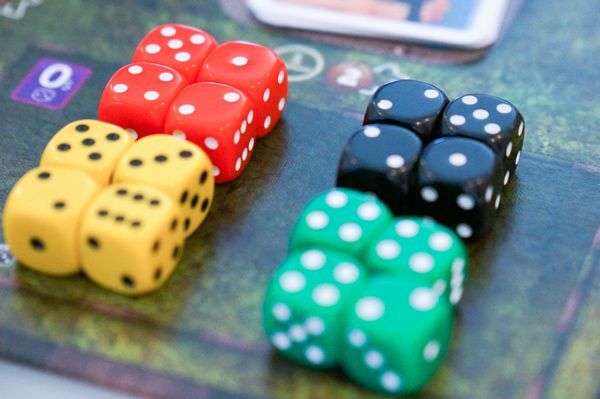 The irony is in a game with so many dice, the issue with randomness does not come from the dice. No. The issue with randomness comes from the Contract Deck. In every game that I've played, there is at least one occasion where one player is unable to find the Contract Card he needs. 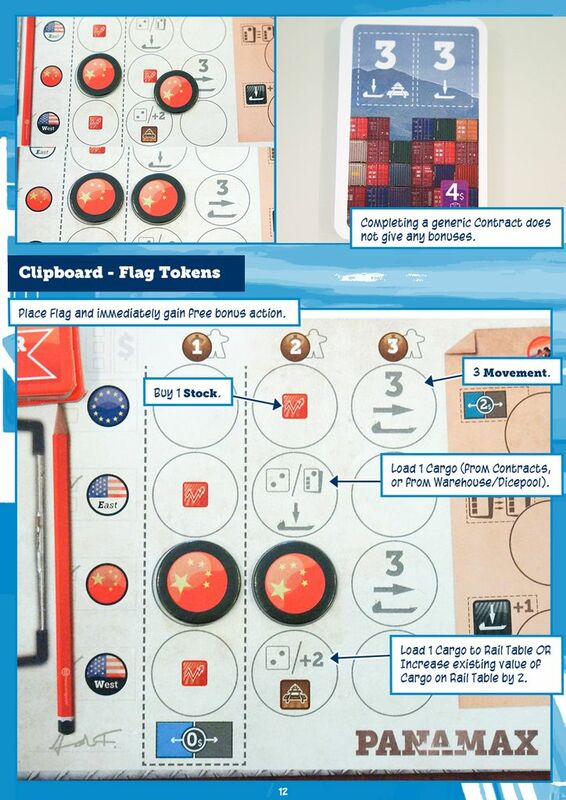 All five exposed contract cards "randomly" ended up showing only flags from two countries (or three). Just not the one he needs. With only four moves in a round, getting delayed by one turn just at that precise time when you really need that contract card can be painful. One thing I found is that many players forget about the generic side of the contract card. 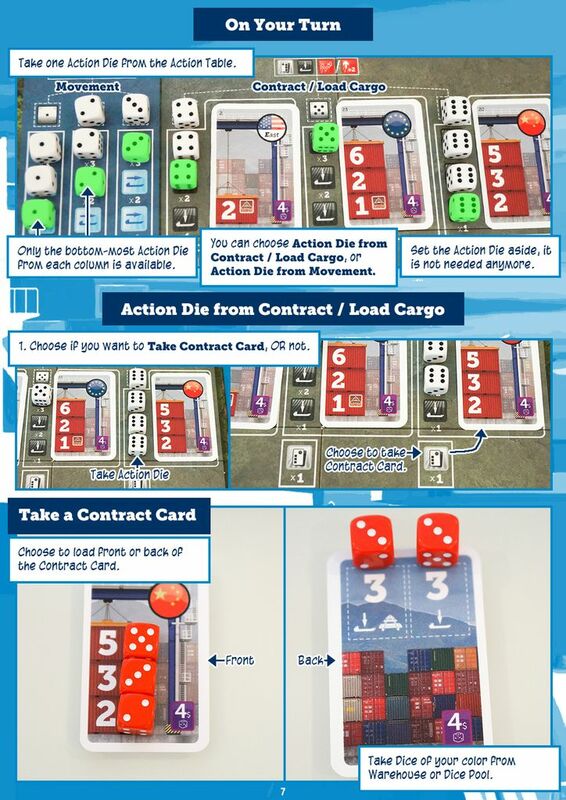 By turning over the contract card, I can place the cargos on any loading zones. True, I will not be getting that sacred flag. But in return, I have the flexibility of loading the cargos anywhere. 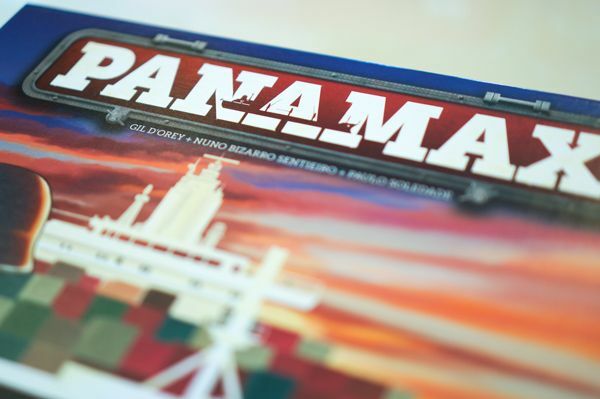 Panamax is susceptible to deals-making. I scratch your back, you scratch mine. I push your cargo, you push mine. All is good, except when you are not part of that deal. In a tight game where the final scores are close, just one deal can be one deal too many in king-making. There is nothing stopping you from making deals of your own. If everyone else is making deals, you jolly well join in the feast. Knowing who to make deals with, when to make the deal, and at what price becomes part of the game. Alternatively, a simpler approach is to ban deal-making. Another issue I've seen is replayability. In the heavy euro realm, Agricola and Terra Mystica sets the bar in terms of replayability. Heavy gamers love it when there are 36 variable objectives, 100 variable player powers (races), and 49 different setups. When compared to these games, Panamax does not even come close. 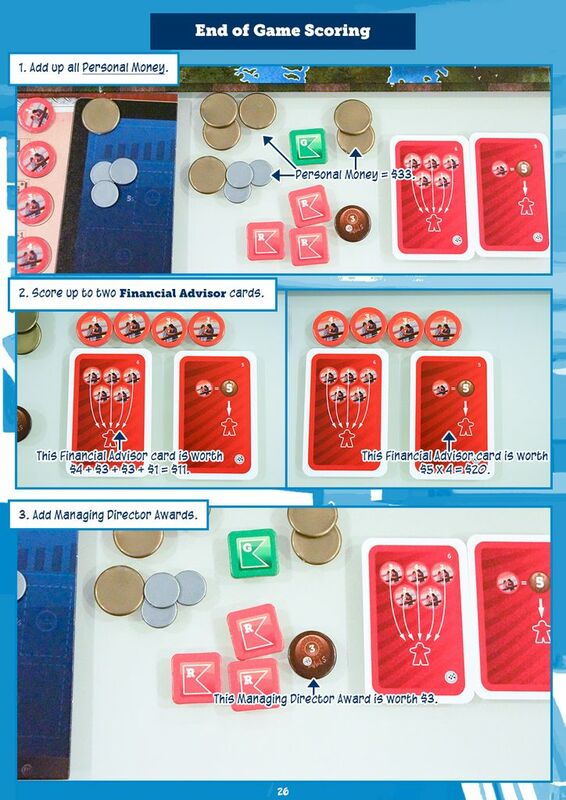 Aside from the initial Financial Advisor cards, there isn't much variety in game setup. Panamax is not that sort of game. 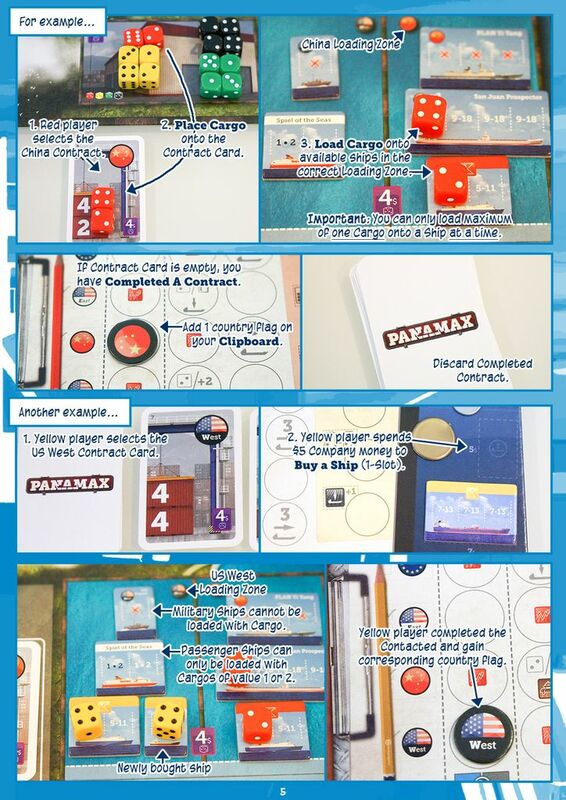 In Panamax, each player board has slightly different clipboard bonus. So the game creates incentives for players to move forward in a different direction strategically. It is how players' ships and cargo come together eventually and interact that makes the game replayable. Not 100 different player powers, or 36 variable objectives. Say you have a group of non-gamer friends who had been introduced to a gateway game like Ticket to Ride. They had been playing Ticket to Ride for months and moved on to something heavier, say Ticket to Ride+. I'd say Panamax is more complex and heavier than Ticket to Ride+. Perhaps, if it make sense, Ticket to Ride++. 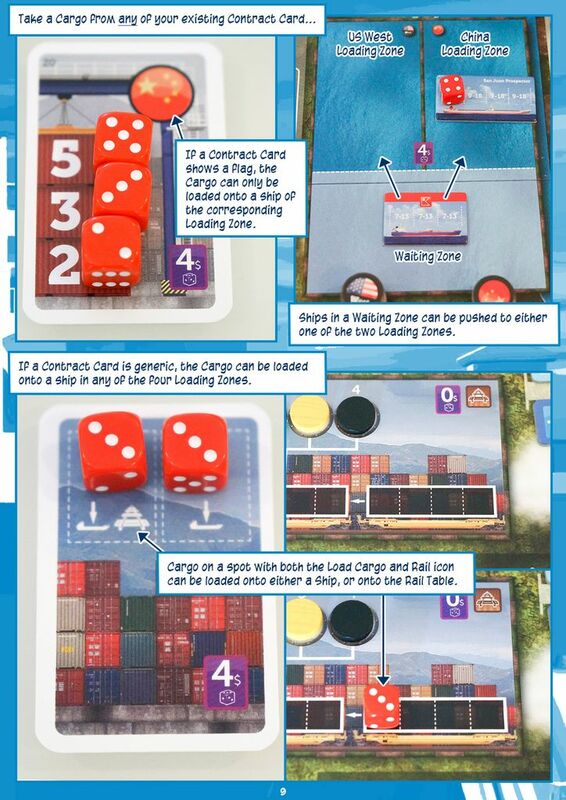 From a casual gamer perspective, the rules of Panamax are way too complex and too long. 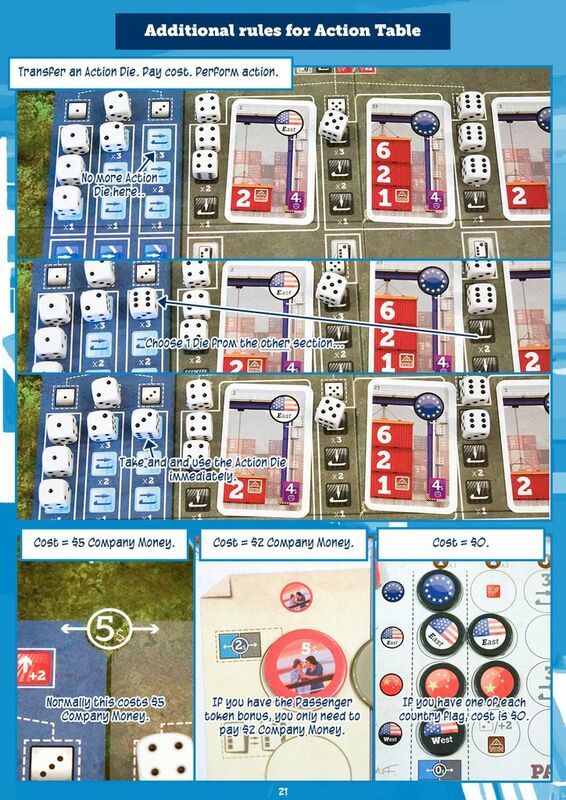 From a casual gamer perspective, 2 hours to play a 4-player game of Panamax is way too long. 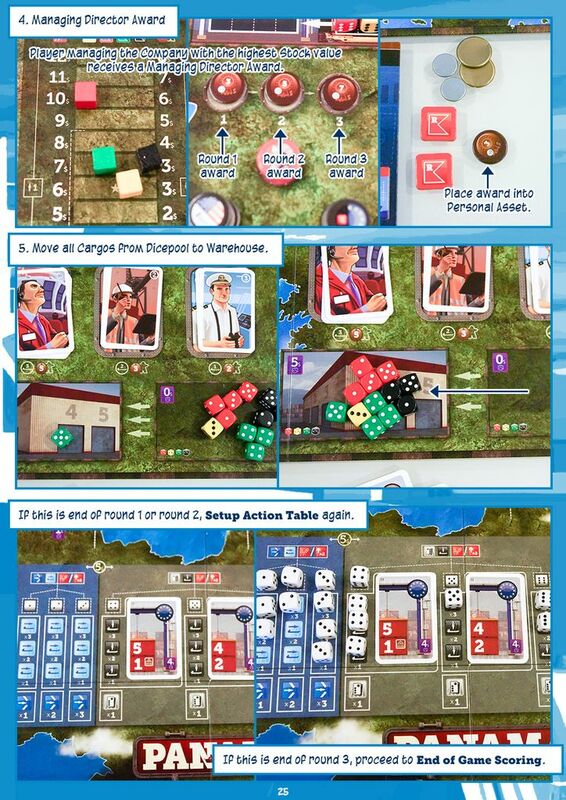 From a casual gamer perspective, Panamax is way too unforgiving. Miss one dividend payout, and you're basically out of the game. Panamax is very susceptible to AP. There isn't a restriction on the free actions, the cargos can be loaded on any ships, and you can move any ships. Plus, you have to count your Company's Asset and your Personal Asset regularly. Count your stock dividend payout. From a casual gamer perspective, Panamax has too much AP. Panamax is not a casual game. Panamax is not a medium weight game. It is a medium-heavy game. If you have four players and are really looking for a Ticket to Ride+ experience... perhaps I can recommend the following variant. i. Remove stocks from game. Remove all Stocks from game. Executive actions are not available. 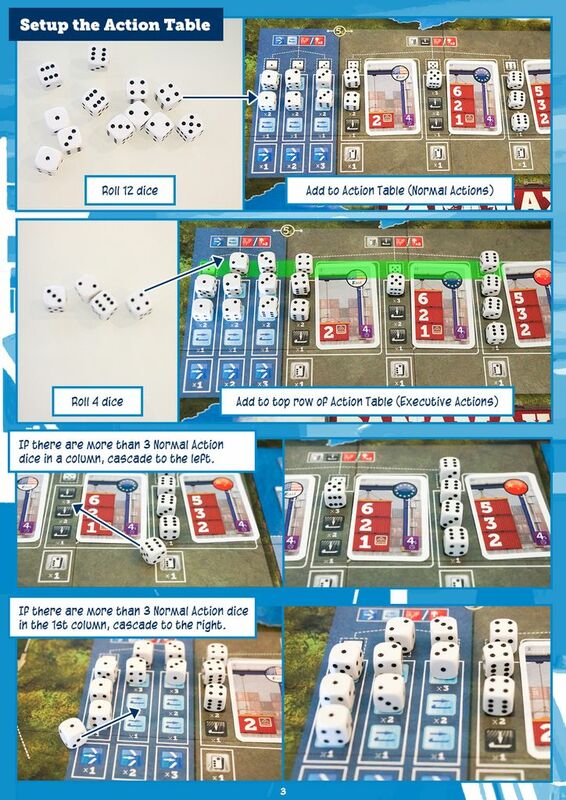 All action dice are rolled and distributed in normal actions. All wealth are combined. Player with most money at the end of the game wins. Removal of dual wealth reduces AP. Removal of the need to pay dividends makes the game more forgiving. Should I have used a more serious sounding "Managing Director" as the title? Or should I have used a more fun and casual "Scarlett Johansson" as the title? Perhaps I should use both! Similarly, should I approach Panamax from a heavy euro perspective? 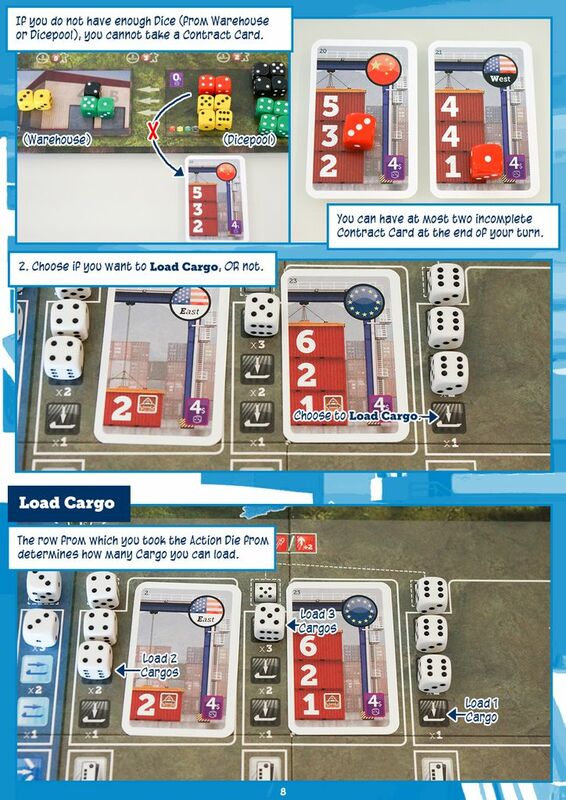 Or should I approach Panamax from a casual medium game perspective? Perhaps, I should approach from both perspectives! 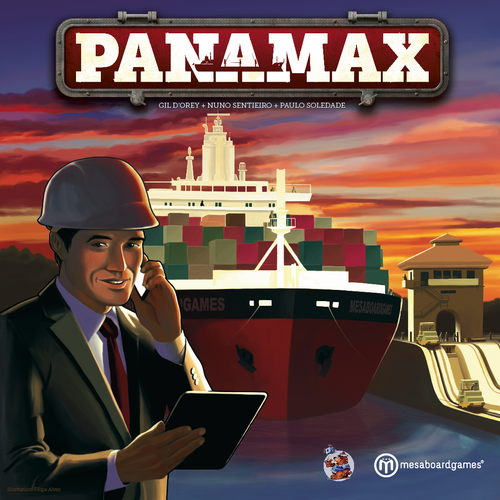 Panamax truly defines the category of medium-heavy games. 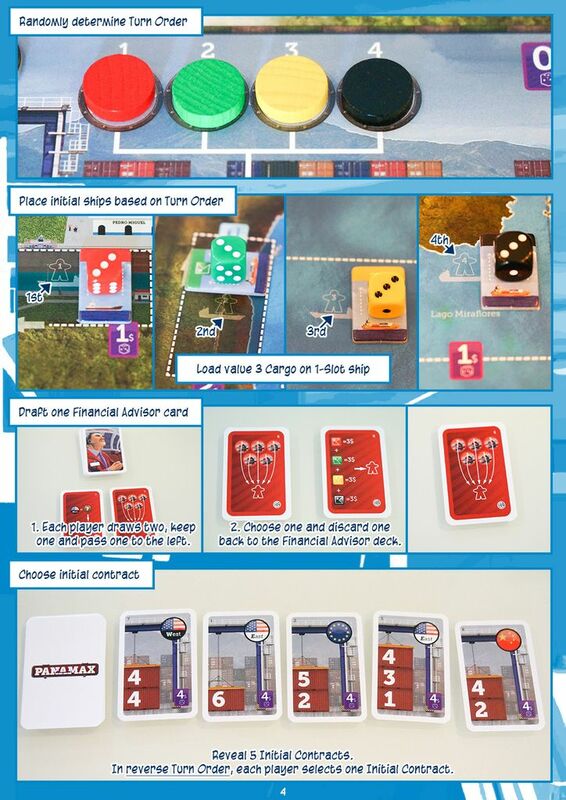 I cannot think of another game like Panamax... in terms of the sum total of its weight, unique theme, level of interaction, fun rowdiness and depth. 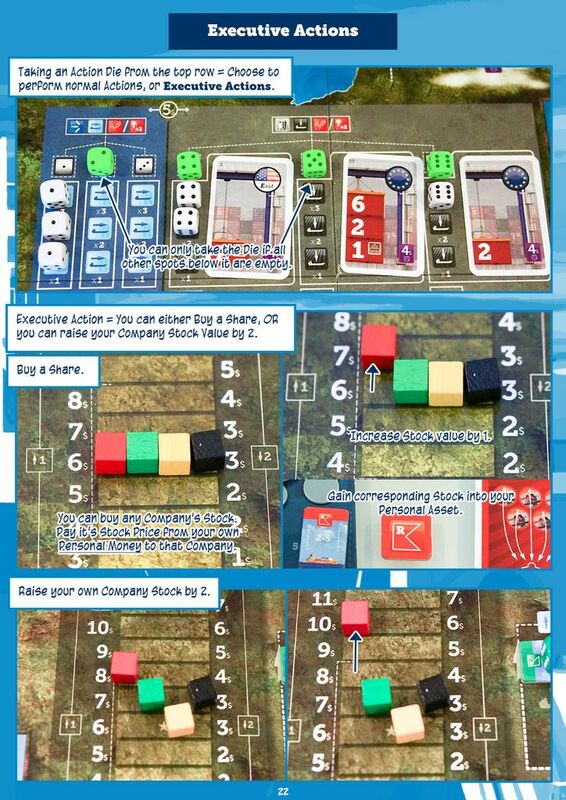 If you have four players looking for a meatier game with long term strategic elements, lots of short term tactical tension, and at the same time highly interactive, fun and rowdy, I'd wholeheartedly recommend Panamax. 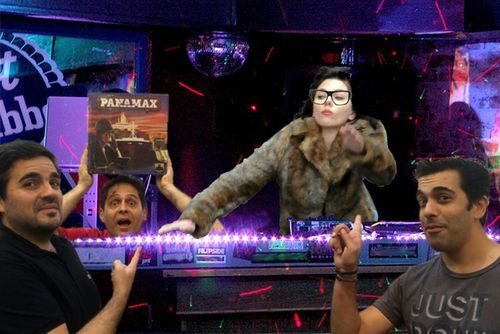 Scarlett Johansson approves of Panamax. A Geeklist of all my comic-style "stuff"
I'd apologise for starting this whole Scarlett Johansson thing. Except its still pretty funny. Just uploaded the PDF of the Quick Start Guide. It's pending BGG Admin approval now. Should be up within a few hours (or days). "I play to win, as much or more than any egoist who thinks he's going to win by other means. I want to win the match. But I don't give in to tactical reasoning as the only way to win, rather I believe that efficacy is not divorced from beauty." I would prefer more of the review devoted to explaining the rules. As much as I think using the word Epic is pretty damn cliche, this is still pretty Epic. Ideally, BGG would have two different statistics, depth and complexity. But, much like DVORAK is never going to replace QWERTY, we are stuck with an inferior standard. Weight is the amount of time/effort required to master a game. That could be because the game mechanisms are complex, or because the game strategy is very intricate, or both. Go has medium complexity of rules (there is actually quite a lot to explain, when you include things like double-ko situations, and presumptive "bent four in the corner is dead"), but takes an extremely large amount of study to actually understand reading, counting, memorizing and choosing joseki. Terra Mystica, while fairly deep strategically, is nowhere near as deep as Go, but has considerably more complicated rules to be able to play the game at all. Twilight Imperium is, I think, slightly less deep strategically than Terra Mystica, but has even more complicated rules. A first play of either of the latter two is probably not going be a good play, unless you are exceptionally intuitive about absorbing rules. So, despite being three very different games, what they all have in common is that you'll have to spend many hours learning and playing them before you can play them well. Some people probably factor duration into weight, but I think that's mistaking a correlation for a core characteristic -- longer games tend to involve more rules and/or deeper strategy (because most people will not put up with simplistic games that take many hours to play). Thanks Matthew for sharing. I really like the post and the simplified definition that weight is the amount of time required to master the game. It might not have much to do with the game, but it's pretty good advice. Medium-heavy weight advice, even. Oy. My deepest (heaviest?) apologies. I have no idea where that text came from. It was supposed to be the line in your review where you mention game weight. I removed it from my original comment. As usual, Cedric, just an amazing review. You are amazing! I played my first game this past weekend; 4 players. It took a little while to explain the rules, but everyone likes it and will play again. I lost very badly due to some poor planning in the 3rd round, but I am very enthusiastic about this game. This guide is soooooo good! Thanks for a marvellous and entertaining review. Is there anything that could be done to make it a better 2 player or 3 player game? Are the casual gamer recommendations good for 2 players. Is the casual gaming likely to be decently rowdy? What particularly attracts me to this review is the ability to make it casual combined with high interactivity/rowdiness. My problem is that I'm tight for spare cash at the moment and I'm looking for something that would be happy with 2 or 3 players. I'm not too worried about rowdiness being lost with 2 players, just good gameplay. Panamax is not at its best with 2-players. 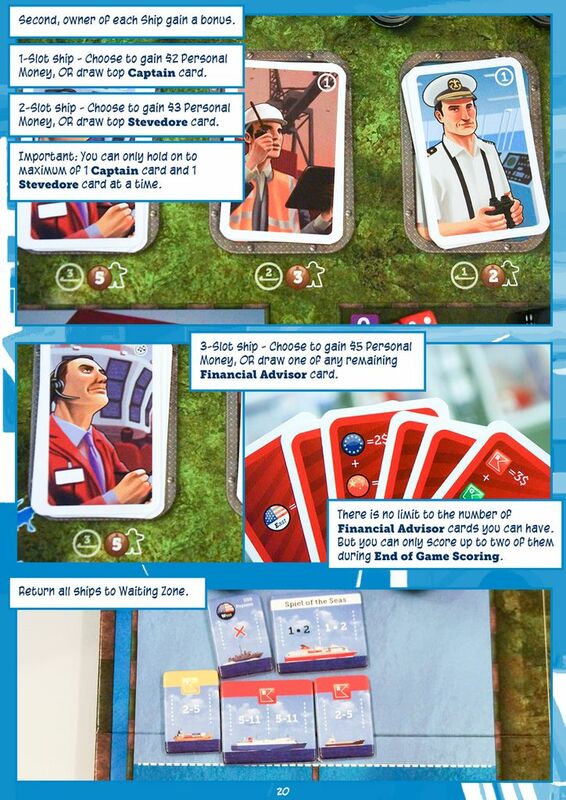 If you're primarily gaming with 2 or 3 players, I advise you not to get Panamax. Awesome review! I like to see reviews that don't spend time explaining how to play, but instead focus on reviewing the play! Otherwise it wouldn't be a review, would it? 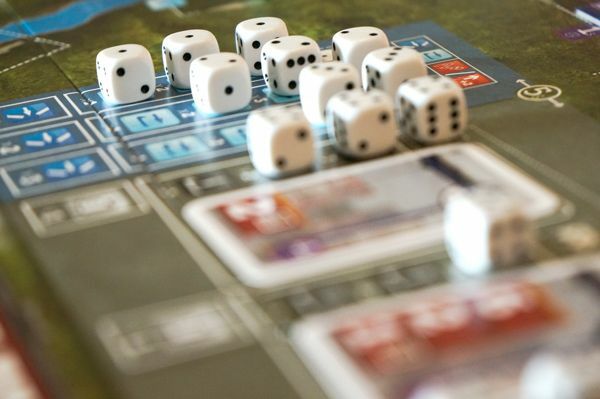 Panamax is relatively more interactive, louder, more opportunities for deal-making and sabotage. I push a 3-slot ship further down the canal, making that unfortunate player pay 3 times more for cargo. One simple move, and someone gets screwed real bad. Your comments illustrate perfectly why I contend this game is NOT an Euro. Or at least not an Euro in the traditional sense. One of the characteristics of a traditional euros, I believe, is that it's free of conflict and sabotage. Conflict and sabotage are a characteristic of Ameritrash games. 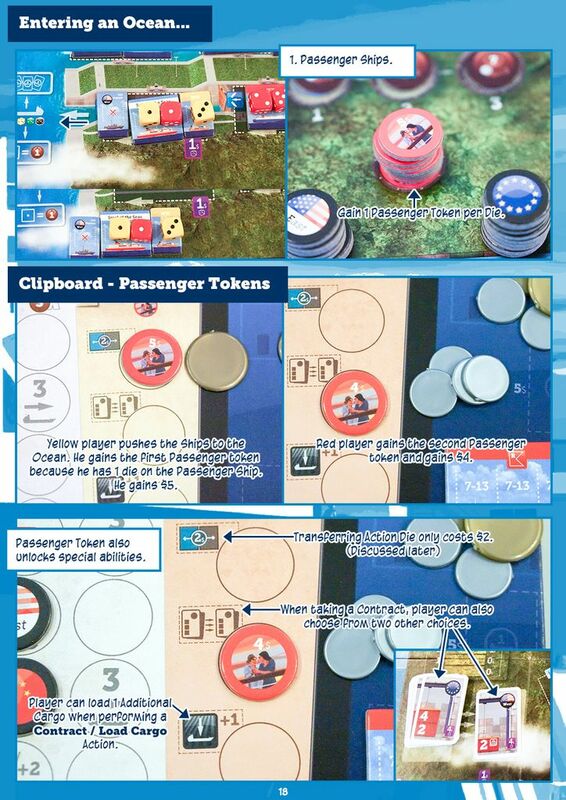 But I'm also certainly not saying Panamax is an Ameritrash game, either. It's not. 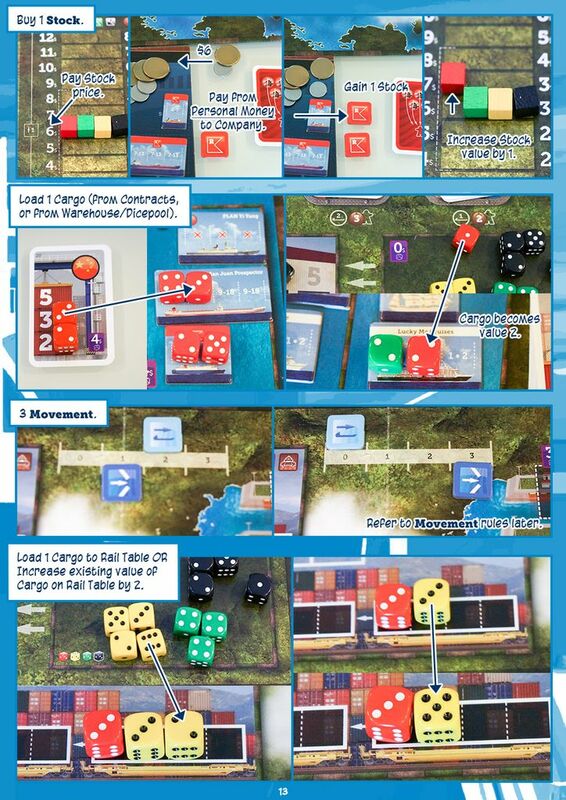 Thusly I feel that Panamax is a hybrid game. Or does this mean that the definition of a "Euro" is changing? Does it mean that today's "Euro" is going more toward the direction of what used to be considered a hybrid? 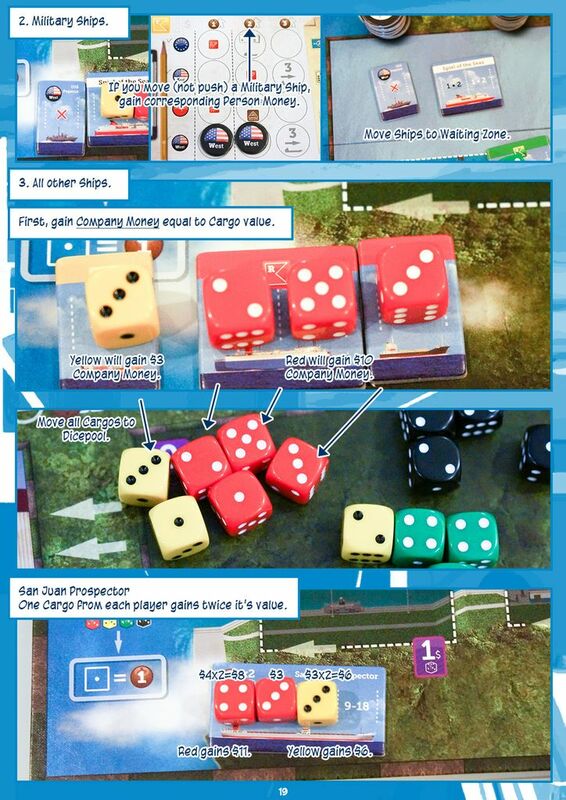 I know I got off topic, but I've seen a lot of threads calling Panamax an "Euro", yet for all the characteristics that the OP described in his review I don't think it really is. 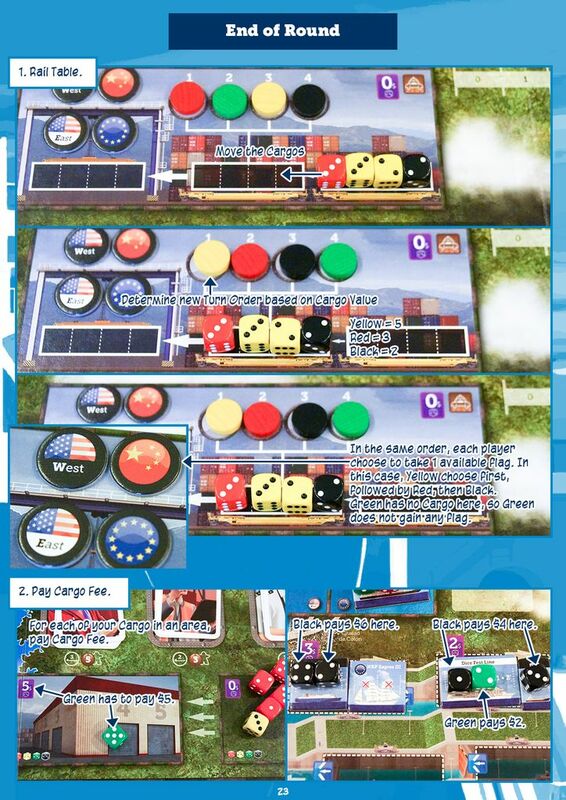 Haven't played Panamax (though from this excellent review I think I'd love it), but I'd strongly contest the idea that Euros are by definition free of conflict. I think one of the defining characteristics of a Euro is that players are not eliminated due to that conflict. Some of the most vicious games I've ever played have been Euros -- I think lots of classic, genre-defining Euros have plenty of opportunities to sabotage other people's plans, whether it's forcing someone to ship goods in a suboptimal manner in Puerto Rico, taking a bunch of sheep and promptly turning them into food you don't even need in Agricola, or stomping someone's hopes and dreams with the bailiff in Caylus. I love both Euros and Ameritrash, but some of the tensest, most cut-throat times I've ever had while gaming were while playing Euros.